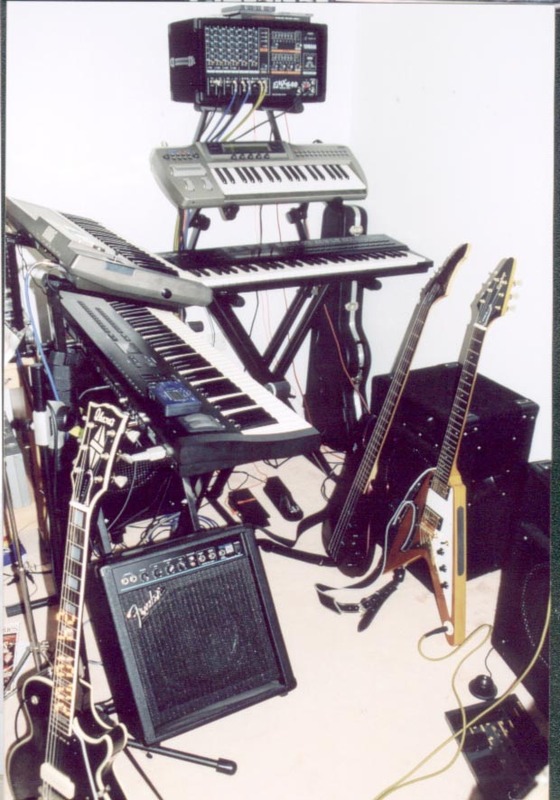 Left side - Alesis QS7 and Korg Poly800, Right side - DX7II and Prophecy. Yamaha Powered mixer and various guitars. To the right of this lot is a Yamaha drum kit and a few more guitars, Laney amp and a bunch of pedals.